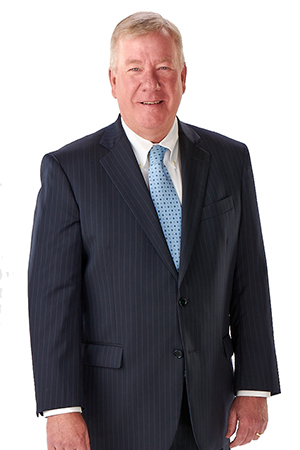 David H. Luce concentrates his practice in general civil litigation, including commercial, employment and real estate disputes. Dave’s trial results include obtaining an $11.1 million jury verdict in favor of a Missouri manufacturer against its insurance carrier, obtaining a defense jury verdict in a race discrimination case in Missouri state court, obtaining a defense jury verdict in a business tort case where the plaintiff sought over $2 million and obtaining a jury verdict in favor of an executive who was sued for violating a non-compete agreement. In addition, Dave has handled a number of arbitrations of employment and commercial disputes and a variety of trials involving quiet title actions, regulatory disputes and restrictive covenants. Prior to his association with Blitz, Bardgett & Deutsch, Dave was Associate General Counsel at Trans World Airlines, Inc., where he was responsible for managing all corporate litigation. Dave was formerly a senior member of the in-house legal department at Koch Industries, Inc. of Wichita, Kansas, the nation’s largest privately-held corporation. Dave applies his 30 years of experience practicing law, both as an in-house attorney and in private practice, in providing sound advice and counseling to individual and corporate clients on a wide range of subjects. In 2013, Dave was appointed by the Supreme Court of Missouri to serve as a member of the Regional Disciplinary Committee for Division 1 of Region X. He is a 1983 graduate of The Ohio State University and earned his law degree from the University of Kansas where he was a member of the Order of the Coif. Dave was peer selected for inclusion in the 2017 edition of Missouri/Kansas Super Lawyers® and in the 2018 edition of Best Lawyers in America® for employment law/management. 2013 Appointed by the Supreme Court of Missouri en banc to serve as a member of the Regional Disciplinary Committee for Division 1 of Region X.